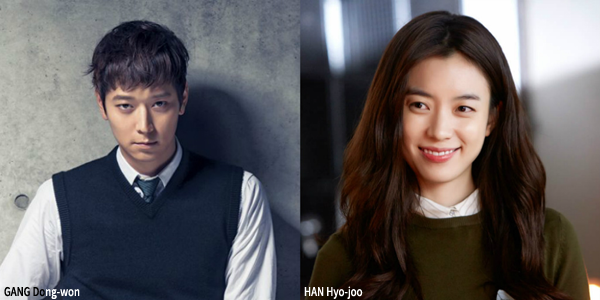 GANG Dong-won and HAN Hyo-joo have signed on to star in the Korean film version of the Japanese novel Golden Slumber by ISAKA Kotaro. The thriller will be the fourth film by director NOH Dong-seok. NAKAMURA Yoshihiro previously made a Japanese version of the book for Toho in 2010. In the film, GANG will play a deliveryman who is framed for the assassination of the newly elected prime minister. He becomes an unwitting pawn in a massive conspiracy and is forced to run for his life when fabricated evidence begins to mount against him. HAN will co-star as a college friend turned radio reporter. Currently on screens in the hit Master, GANG has been on a run of hits, which also include The Priests (2015) and A Violent Prosecutor. HAN was last seen earlier this year in the period drama LOVE, LIES. Co-starring with the pair are TRAIN TO BUSAN’s KIM Eui-sung, The Phantom Detective’s KIM Sung-kyun and The Last Princess’ KIM Dae-myeong. Director NOH’s debut film My Generation screened at the Berlin International Film Festival in 2005 and his follow up Boys Of Tomorrow went to the Locarno International Film Festival in 2007. Golden Slumber is expected to go before cameras early in the new year with a release to follow later in 2017. CJ Entertainment is on board to finance and distribute the manhunt thriller.